Elite Special Forces are known for their work, patience, courage, hard and rigorous training. But not every country has such special forces even the Pakistan don't have before 1956. But today, there are more than 8 Special Forces/Security Units inside Pakistan. Some of them even go to western countries to share their skills and perform bilateral military exercises. In the absence of security in a city, the rate of crimes can go quickly high. So, the Dolphin Force is created to manage and control crimes and any illegal activities in the particular city. The personnel of Dolphin Force are trained on the basis of Turkish Dolphin Police. They are equipped with latest weapons, dual communication system (audio/video transition) and a heavy bike. Currently, more than 2000 policemen have been recruited in the Dolphin Force. The Elite Police is equipped with latest and sophisticated weapons including Glock 17, M4 Carbine, Steyr AUG, MG3, AK47 etc. 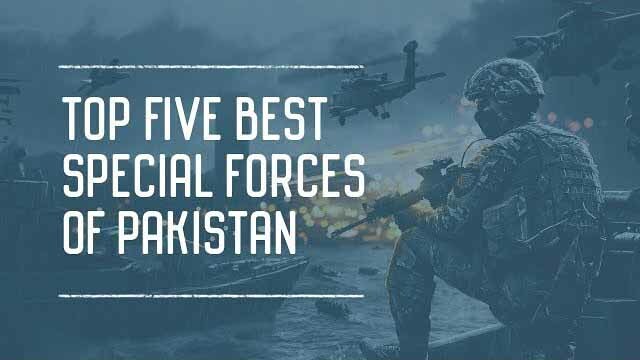 After the birth of Pakistan, there are a lot of challenges to handle including illegal activities on Arabian Sea, Coastal areas of Pakistan so the main task force to work on this is known as Pakistan Marines. They are highly trained commandos of Pakistan Navy who works to ensure that No illegal activity is going on. Pakistan Marines conduct rescue missions, Operations against Terrorists and Smugglers. In past, they have conducted many bilateral military exercises with US Marines. The Pakistan Rangers Anti-Terrorist Squad is a special operation force of Pakistan Rangers. They conduct Military operations/Raids along with the regular Police troops against Terrorists or Criminals in Pakistan. The RATS personnel are highly trained by the Officers from Special Service Group. They used latest weapons such as MP5, M4 carbine, AK-47, hand grenades etc. Due to their outstanding performance in War against Terror inside Karachi, they are known as Mini-SSG of Pakistan. The Special Service Group or SSG is known for their Bravery, Courage, Toughness and Special operation tactics raised in 1956. The Commandos of SSG are highly trained on the basis of multi dimensional operations. It means, the SSG is capable of performing Military Operations on Land, Air, and under water. They are equipped with latest American, Russian and German weapons such as M4 Carbine, M16, MP5, Steyr AUG, Barrett M82 and list goes on. There are three different formations of SSG. All three of them get their initial Commando training at Army SSG, Cherat & Tarbela. The SSG recruits must have atleast 2 years of service in Pakistan Army, Navy or Air Force before applying for SSG. The recruits have to go through 9 months of hard and tough Training program although only 5 percent of recruits make them able to pass the selection criteria of Special Service Group.